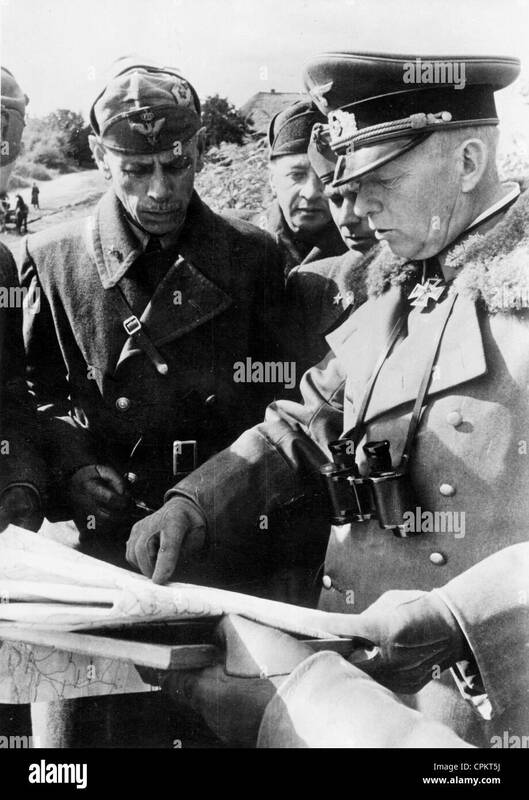 General Ewald von Kleist and General Giovannelli in the Ukraine, 1941. 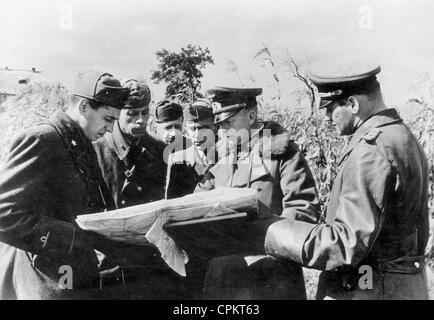 General Ewald von Kleist (right) issuing orders to the commander of the Italian division 'Pasubio', General Giovannelli (left). The Italian division was deployed in the fighting at Dnipropetrovsk.